I have heard about “Jamerson Flats” for years, and finally decided to try a set of these strings on one of my basses. I did not know much about them before trying them out and I am pretty surprised by the results. You may not know much about them either, so here is the low down. James Jamerson was a legendary Motown bassist who played (mostly uncredited) on every Motown hit you have ever heard. He put a set of La Bella flats on his 1962 Precision bass, and NEVER CHANGED THEM AGAIN. Ha! 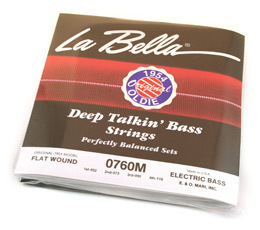 By the way, Jamerson never endorsed these (he died in 1983) and his widow is now suing La Bella. Anyway, these “Original 1954” stainless steel flatwound strings are still available today from La Bella as part number 0760M. They are beefy-assed strings, coming in at .110 for the E to .052 for the G. And, they are made in the U.S.A. I decided to try them out on my 1982 JV Precision Bass which had pretty dead roundwounds on it. I have an almost identical 1983 JV P bass with D’Addario Chromes (or Ernie Ball flats, I can’t remember), so I thought it would be a nice comparison. The slightly larger La Bellas just needed a little filing of the nut, and the truss rod was in good shape, so I was not too married about damaging anything. Plus, I think (with absolutely no data to support my assertion) that all-maple necks are a bit sturdier than necks with rosewood fretboards. Right off, I noticed a difference just plucking open strings with the bass unplugged. They sounded deep and resonated strongly. Playing a bit (still unplugged) there was no buzz at all, even though the action was set really low. The feel of the strings is a bit different to me, just because they are so big. But different is not bad and they are very comfortable. Plugged in, they are a bit brighter than I expected, but surely they will darken up as time goes on and provide the thumpy tone of the 1960s that I was looking for, I think they are a winner. There are a few things to keep in mind if you decide to try these out. 1. You will not be able to use these on basses that string through the body. 2. 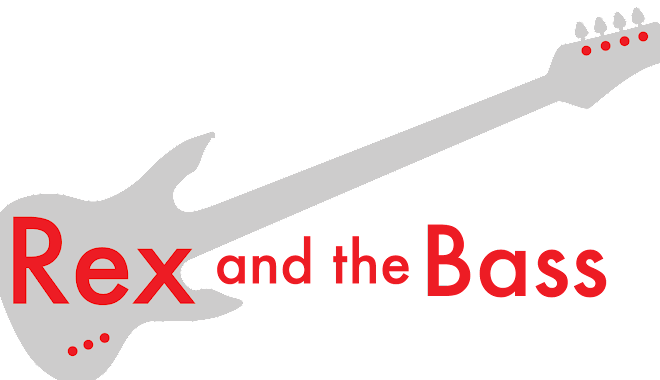 Make sure that you neck is in good condition before installing them, as these strings will put your truss rod to the test. The La Bella Jamerson Flats may seem a little spendy at first glance (about $54 online), but they are cheaper than TI flats, and they could be the last strings you ever buy. You should give them a try! FYI - Although it is not recommended anywhere, I have had these same strings strung through the body on my American Standard P-Bass for 8 years. They sound and play amazingly great. A little bit of the wrapping hits the nut on the E string but if makes no difference. I have a spare set in case one of these breaks but I can't imagine playing with any others and I've not replaced the bridge so that I wouldn't have to go string thru. Anyway... they work for me and sound like nothing else.